There are about 52.5 million people who suffer from arthritis-related pain every day – a condition for which there is no cure, only management. The pain associated with arthritis is the number one cause of debilitating pain in the United States, and yet we don’t truly know that much about the condition and how to most effectively treat it. The most common symptom – pain – is often managed with painkillers called NSAIDS and opiates, both of which have a whole slew of side effects that have the potential to come along with it. Unfortunately, when compared to conditions like epilepsy and cancer, the use of cannabis for arthritis has taken somewhat of a back seat over the years leaving us with little research to fall back on. However, patient stories, including many individuals who have been able to stop taking prescription painkillers altogether, are all the proof that was needed to start pushing the issue for further research. A lot of things come into play when you are dealing with a condition like arthritis – for one, there are multiple types of arthritis and each has its own slightly different way of affecting us. Being able to not only treat the symptoms, but perhaps even being able to treat the underlying cause of these conditions, is the main reason that the focus on pain-related cannabis studies has shifted to patients with one form of the debilitating condition or another. In order to understand how cannabis is able to help with these conditions, first you must understand what makes each of these diseases different from the other. If you’ve never met someone with arthritis, then you probably wouldn’t have guessed that the two conditions with similar names and symptoms are very different diseases to begin with – but proper treatment starts with a proper diagnosis and understanding of that diagnosis. Osteoarthritis is the most common form of arthritis – also known as degenerative joint disease. This condition is caused by the normal wear and tear that our bodies endure over the years. As time goes by, our joints become stiff because the cartilage that gave us pain-free range of motion for years will start to deteriorate. This can happen even faster in individuals who have suffered a severe injury, especially if the injury was directly to a joint. Rheumatoid arthritis (RA), on the other hand, is actually an autoimmune disease that causes the body to attack synovial membranes in the joints, rather than the bacteria and viruses it’s supposed to be attacking to keep you healthy. In doing so, it causes inflammation of the joints similar to that of osteoarthritis, in the end creating extremely similar symptoms caused by two entirely different diseases. While osteoarthritis most commonly affects middle age adults and seniors, RA affects a wide variety of people of all ages from children to senior citizens. It’s well known that cannabis has anti-inflammatory properties that can relieve swelling and pain – and this is absolutely the effect that it has on patients suffering from arthritis. For years, researchers did not have an explanation for these effects, but the discovery of the endocannabinoid system revealed just how cannabis is able to relieve not only the symptoms of arthritis like chronic pain – but other symptoms related to the condition as well, including stiffness, loss of range of motion and loss of appetite, just to name a few. The use of cannabis for rheumatoid arthritis actually dates back at least 4,000 years to a Chinese text that says that cannabis “undoes rheumatism”. By connecting to cannabinoid receptors throughout our bodies, THC and CBD are able to directly relieve pain associated with the conditions. These receptors regulate neurotransmitters and central nervous system immune cells to effectively reduce pain. One study done on rats suggested that activating the CB1 receptor was specifically able to reduce sensitivity of osteoarthritis in the knee joint. Another study was able to find that cannabis significantly improved the range of motion during painful movements, decreased the amount of pain experienced while at rest and even improved the quality of sleep in patients with rheumatoid arthritis. To get those kinds of results with traditional pharmaceuticals prescribed for this condition would take multiple medications – all of which have their own list of potential side effects to worry about as well. When it comes to conditions like arthritis, once a diagnosis is made the course of treatment is entirely about managing the disease – but what if there were a way to delay the degeneration of cartilage, or even a way to strengthen your bones and even reverse the process? More recent studies are finding that in the case of osteoarthritis, this may be more than just a wild theory. 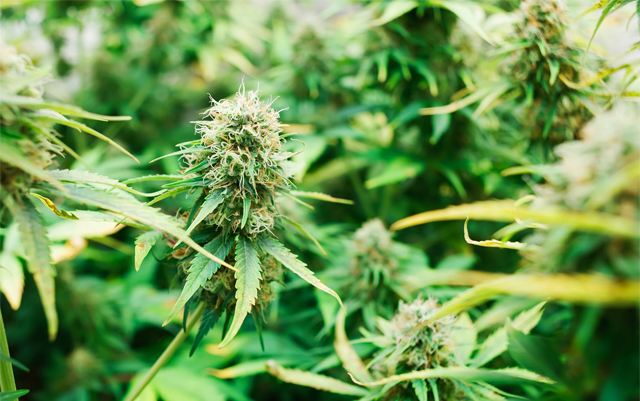 A study to see if cannabis has the potential to repair damage caused by osteoarthritis is being funded by a grant given to McDougall by the Arthritis Society – and two licensed Canadian medical marijuana producers each donated $100,000 to the grand fund. 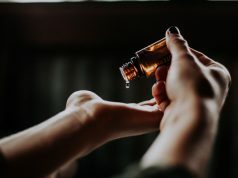 He suggests that CBD could have the potential to repair joints by attaching itself to the nerve receptors and controlling the firing of pain signals to the brain. This comes after a link between cannabinoids and bone health was found, suggesting that cannabis may have the potential to help heal broken bones – and in the case of arthritis sufferers, delay further degeneration of joints and even possibly repair them slowly over time. A study with transgenic mice who were missing either their CB1 or CB2 receptors found that the mice without one or the other developed osteoarthritis much quicker than “normal” mice. It also found that mice missing both receptors had extremely weak bones, suggesting a potential link between the endocannabinoid system and osteoporosis as well. There are a number of different reasons that patients will choose to treat their condition with cannabis, rather than with prescription medications. The main reason for this being the lack of side effects when compared to other medications commonly prescribed for any particular ailment. When you consider the potential harm you could be doing to your body in the long term, just to find relief, it becomes increasingly tempting to find a more natural and less toxic solution. In the case of arthritis the side effects of commonly prescribed NSAIDS can include psychological and physical dependence, constipation, dizziness and nausea, shortness of breath, vomiting and sedation, among others. Other medications can have even more extreme side effects such as hypertension, muscle weakness, nervousness, osteoporosis and susceptibility to infection and thin skin. Each year, NSAIDs (not even opiates!) lead to more than 10,000 deaths and 100,000 hospitalizations. By comparison, cannabis leads to very few hospitalizations and has never once resulted in death – and the side effects of cannabis are extremely mild and often include dry eyes, dry mouth, euphoria, increased appetite and tiredness (and all of these effects vary slightly from strain to strain). When you look at it that way, choosing cannabis as a long-term treatment option just makes so much more sense – and more and more patients are beginning to realize this. While we currently do not have as much research as many physicians would like to see when it comes to cannabis and arthritis, we can at least take comfort in knowing that there are scientists and researchers out there working on figuring out how to best use cannabis to combat arthritis. Whether it be caused by general wear and tear over the years or your body attacking itself instead of bacteria, arthritis is a painful condition to have to live with day in and day out – but so many have already found relief through cannabis. I want to ask you how to i order thr pill cannabis.